After a long day of sightseeing and shopping in the sunny island, guests will be delighted to return to a hostel that is centrally located and easily accessible from most parts of Singapore. Many buses stop right at the hostel's doorstep whilst guests can also take short strolls from Clarke Quay and Raffles Place MRT stations. A comfortable night rest await them as Five Stones Hostel provides high quality orthopaedic 8-inch spring mattress and hypoallergenic pillows in clean and air-conditioned rooms. 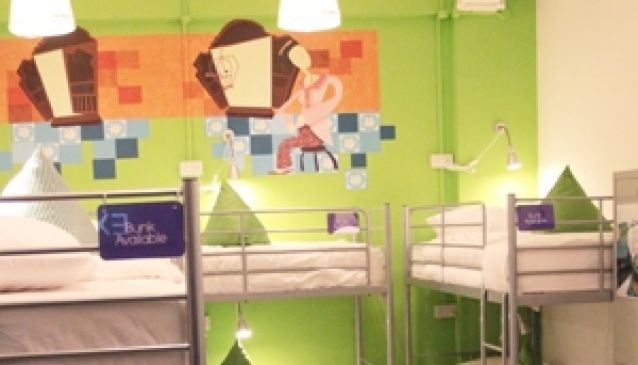 There is never a gloomy moment at the hostel as each room is brightly painted with a unique theme that mirrors a cultural element of Singapore, designed by local artists.